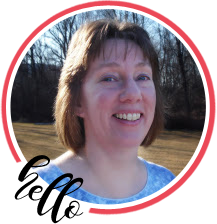 Welcome to the RRR July Blog Hop. 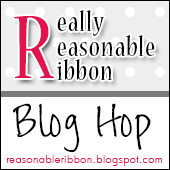 This month the Really Reasonable Ribbon Monthly Ribbon Club Assortment is all about summer fun!! I just love all the great bright colors and patterns. Isn’t it fantastic??! So, I made a fun and brightly colored birthday card this month with a bunch of different ribbons from the assortment. There are two stacked ribbons running across the middle of the card, then a bit of the yellow ribbon peeking out from behind the sentiment. And of course there is a beautiful triple-layered bow made with my Bow-it-All V2.0. I just love making woven ribbon headbands with different patterned ribbon. You never know what you’ll get and I LOVE the look using the vertical stripe ribbons from the July Ribbon Club Assortment. You can find tutorials for all the different headband types on the ReasonableRibbon YouTube Channel. Wow, wow, wow! That is a party on a birthday card! I love the way you use white space! I love all the layers and the wonderful ways you use ribbon. Just gorgeous! I LOVE that bow on your birthday card. Absolutely AWESOME! Gorgeous card and the headband is amazing love the colors and the ribbons add that special touch. thanks for sharing. Very pretty colors and love the bow on the card and the headbands are awesome! Bonnie I love this months ribbon selection so summery and fun and you put them to good use on that Happy, Happy Birthday card! I like the way you used the ribbons in different ways as a regular bow, a banner, and as a border across the card great job! A fabulous birthday card. Love all the layers and bright colors. Beautiful triple bow. Fabulous triple bow, love the cute birthday card with different ribbons!!! Amazing headbands!! !